Money is used for spending. The air cannot be touched or seen unless the wind is blowing. It was soon time for him to check back with the airline about getting on another flight before he had to wait another 12 hours, so I went on practicing sentences. The wind creates many problems, so it wasn’t too hard. As long as I mostly stuck to using the 不著 (bu4 zhao2) after 用 (yong4). It gets harder to know when to use it, otherwise, as I mention in the notes below. If the wind is blowing it is useless to clean the patio. When the wind blows it is useless to comb your hair. (ru2 guo3) (xia4 yu3) (shi2) (feng1 chui1), (yu3 san3) (jiu4) (yong4 bu4 zhao2). (if) (falling rain) (time) (wind blow), (umbrella) (just then) (useless). If the rain is falling and the wind blows, an umbrella is useless. I am unable to sleep tonight, because the wind blows and breaks the tree branches and hits the window. I can’t think to balance the bank account because it is very noisy. (wind) (blow) (used for) )(to dry out) (clothes). The wind is for drying out clothes. Ice cream is for eating. (wind) (blow) (possibly) (bring here) (rain water) (give) (garden). Wind is for bringing rain for my garden. (regardless) (wind) (how) (blows), (life) (is) (used for) (living). No matter how the wind blows, life is for living. ❶ 不著 (bu4 zhao2) is usually used when speaking of being unable to do less tangible things, like sleep, think, or use. I found it easiest to construct sentences with it when I stuck to adding it to the (yong4). 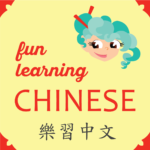 There are suffixes to add to say “unable” in Chinese that are more common for more concrete sentences about common activities, such as 不能 (bu4 neng2) and 不了 (bu4 liao3). These are added to verbs when the situation is less definite, and will probably change in time.